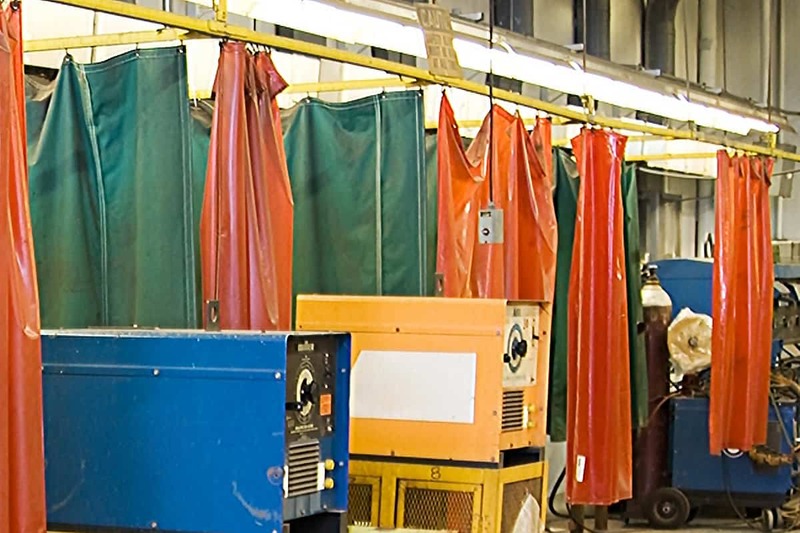 Because AmCraft manufactures industrial vinyl curtain walls here in our Chicago manufacturing facility, we have the ability to customize your curtain system to fit your specific application and industry. 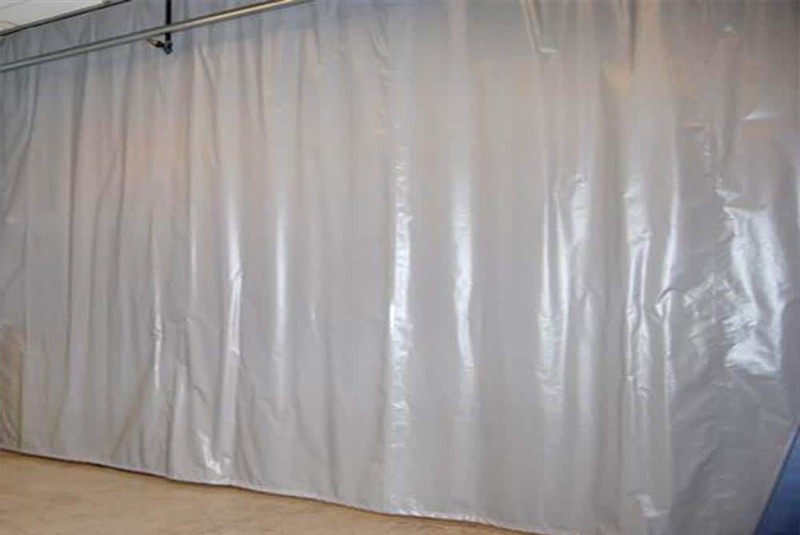 The concept of industrial vinyl curtains is simple: a flexible partition to divide an area. When we look closer at the reasons an industrial curtain wall would be utilized, it prompts us to look at how it fits. 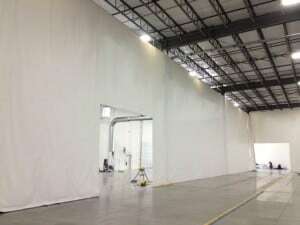 In large spaces, such as warehouses, sports arenas, concert halls, manufacturing storage, and other industries, industrial curtain walls are an easy-to-install and re-configurable solution to dividing a space into different areas. For example, a warehouse may have several different manufacturing processes within a space. In order to distinguish between different processes, protect each area and its workers within a department, prevent cross-contamination, or whatever the application… an industrial curtain wall serves as a solution. We have insulated industrial curtains, industrial sound curtains, and single-layer PVC vinyl curtain wall panels that can serve different purposes. AmCraft curtains have several different functions that can help your industry find an efficient solution. Even when industrial vinyl curtains are a uniform square or rectangle layout, we must be focused on how the curtain edges fit or seal against the floors, walls, and ceiling. 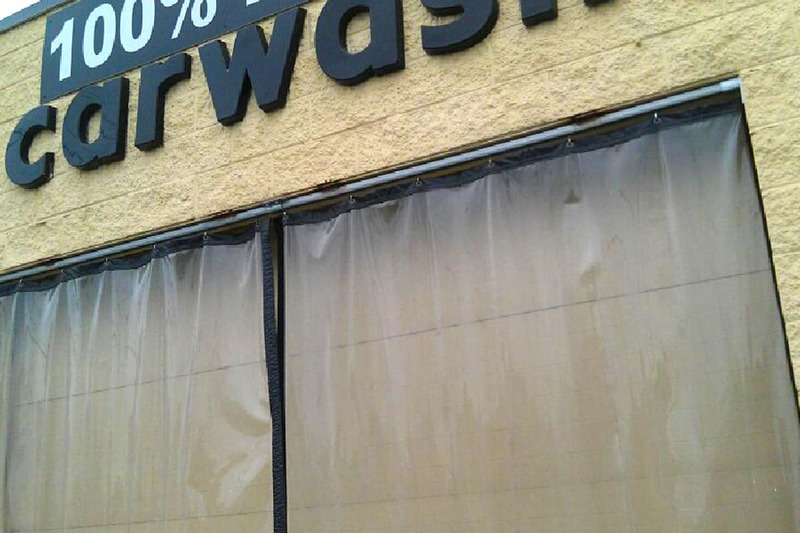 In almost all cases, vinyl divider curtains are installed to contain dust, water, paint, noise, heat, or something that we do not want to migrate everywhere. 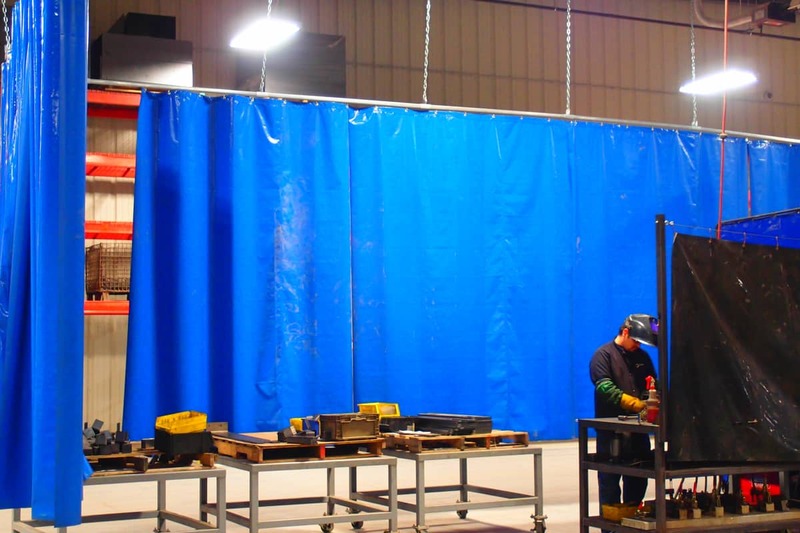 At AmCraft, the focus is on how the vinyl industrial curtain wall panels fit. We ask for details from a potential customer about the physical characteristics of their building interior. All of our technical sales representatives are well-versed about the various building interior constructions and the curtain edge options that, when combined, will render a “best fit” scenario. When industrial curtain walls need to be configured in an irregular shape to make effective seal; angles, curves, supplemental panels and field fitting is employed. 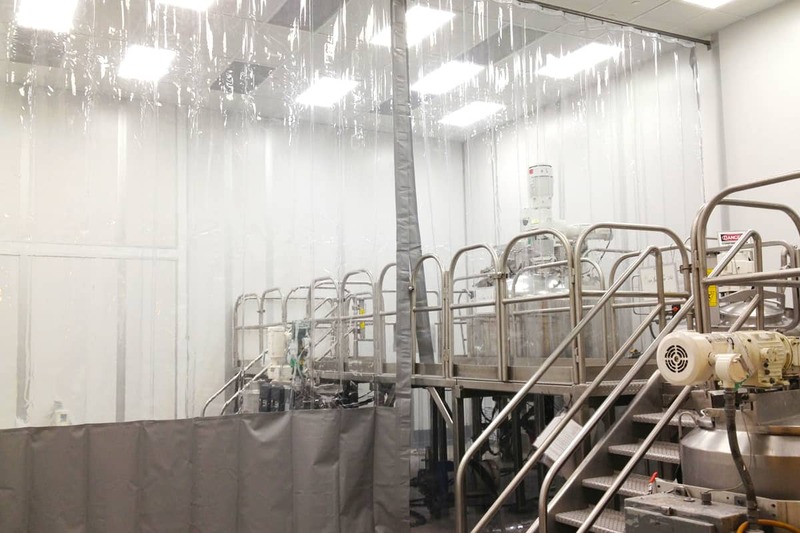 Industrial curtain wall used as a flexible vinyl wall in a medicinal herb growing facility. Used for light, temperature and humidity control. 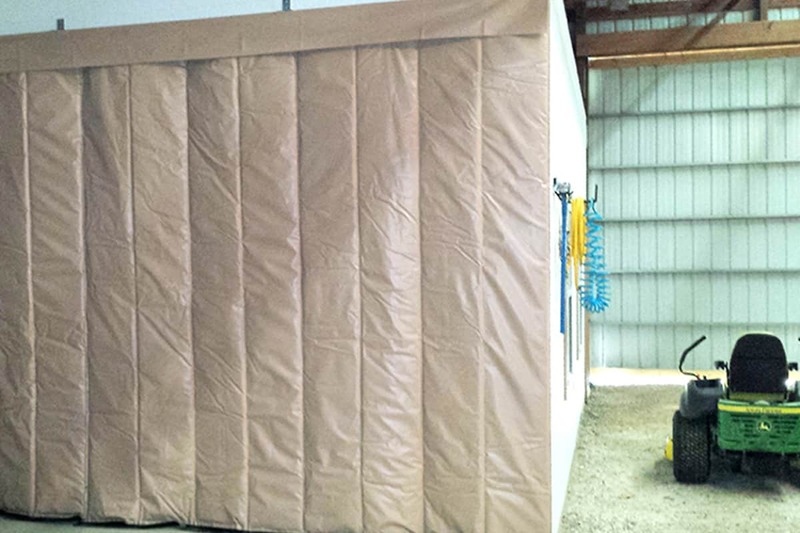 AmCraft also manufactures insulated curtain panels for temperature zoning across several different industries. 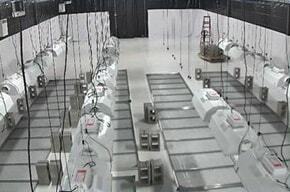 Food processing, pharmaceutical manufacturing, and storage operations utilize industrial dividers as a wall on a regular basis to maintain temperature set points. 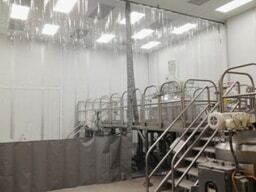 Whether it is to comply with OSHA standards for worker protection and safety or to reduce noise interference for an increase in productivity, AmCraft’s industrial partitions and curtain dividers can separate areas and provide your daily operations with a cost-efficient, effective sound dampening wall solution. 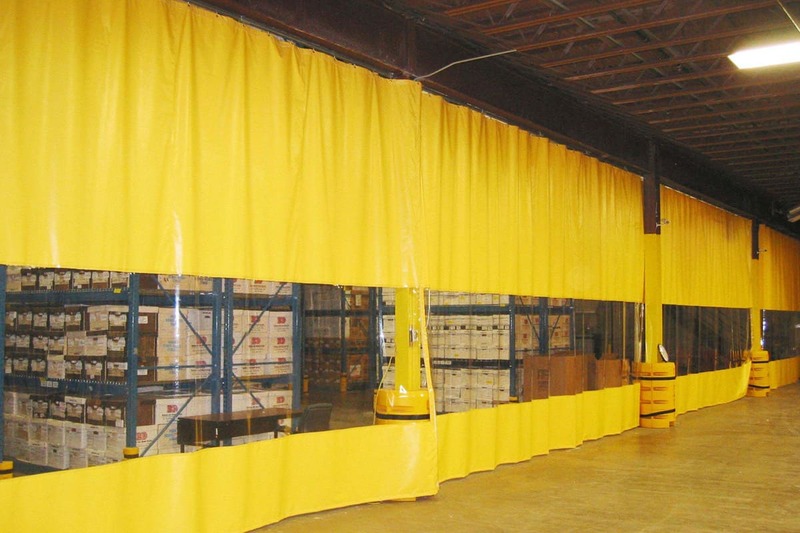 Food grade compliant industrial curtain divider in a health and beauty manufacturing facility. Hardware and curtain construction meet compliance with USDA/FDA regulations. 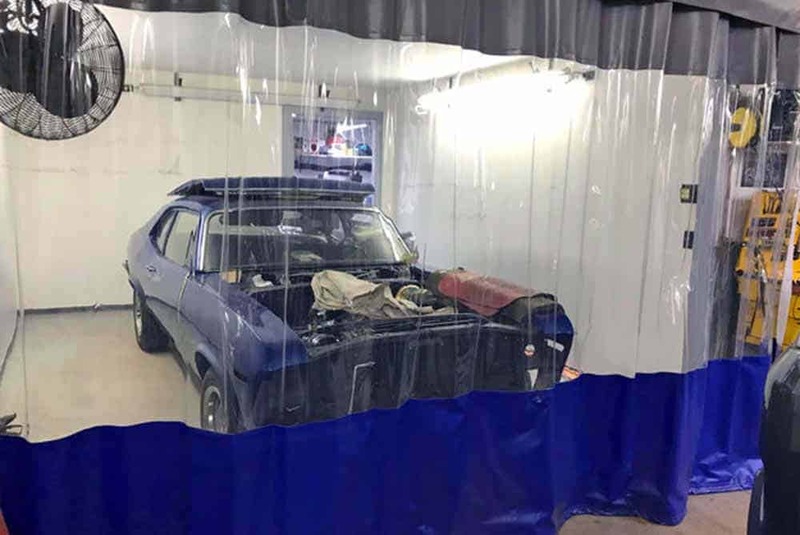 From automobile sales showrooms to professional photography studios, AmCraft can also provide an industrial curtain solution that will serve as a backdrop for your images. 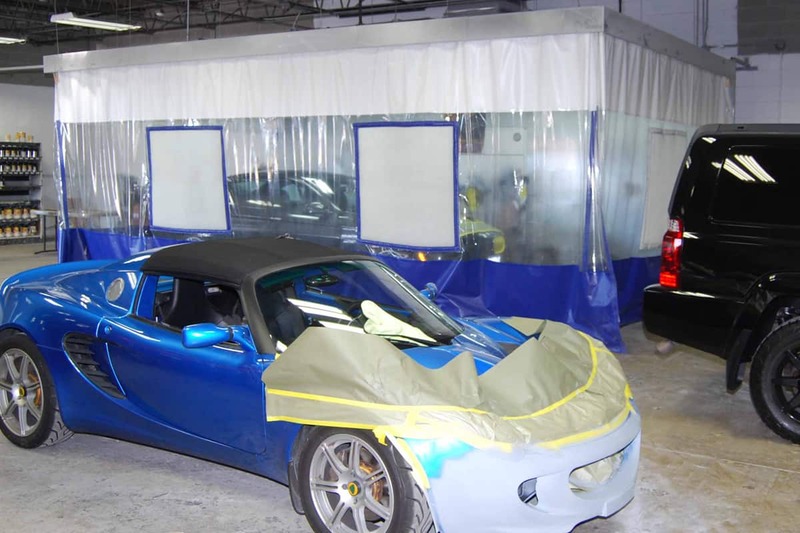 Auto dealership showrooms utilize pictures of their vehicles for advertising, marketing, and sales purposes; you can choose between special photoshoot curtain material or an easy-to-clean, vinyl industrial curtain. Standard track options are available to fit your curtain wall panels or you can also ask our AmCraft technical specialists for assistance with creating a curtain wall structure. 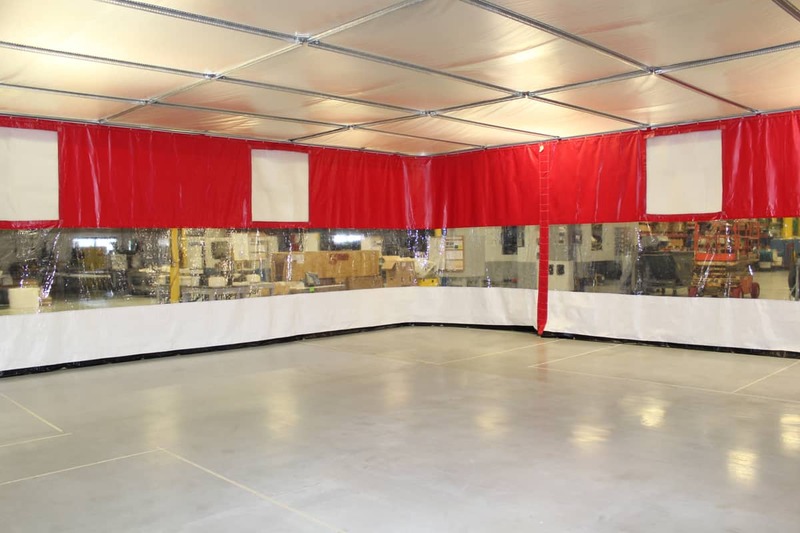 This can be either a fully suspended industrial curtain wall enclosure or a freestanding curtain wall structure, both for fixed (stationary) curtains and for retractable curtains. Automobile photo studio in a Connecticut showroom. 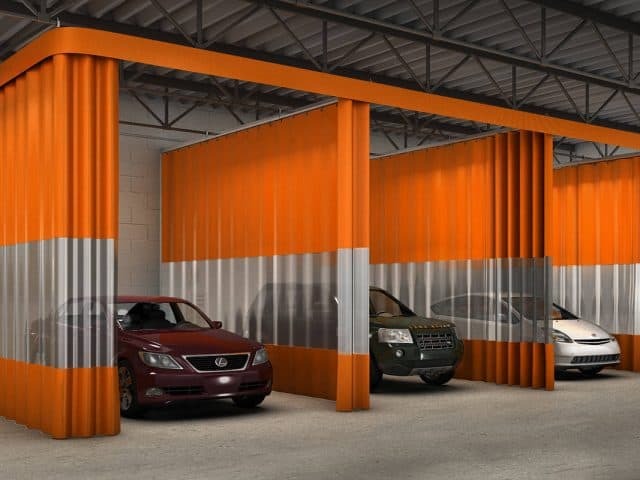 Retractable industrial curtains are used to soften natural light for photos and to create movable walls that allow entry and exit of vehicles and people.